RE•WORK | Blog - Is a Chief AI Officer needed to drive an AI strategy? Is a Chief AI Officer needed to drive an AI strategy? But what does a Chief AI Officer (CAIO) do, and do we really need them? On one hand, yes. On the other, no. If your industry generates a large amount of data, the chances are you are (or should be!) using AI to transform this data into valuable customer insights. If you’ve been collecting and analysing data manually the introduction of AI would be an instantaneous advantage, saving an unbelievable amount of time and resources. In this case, the core business model would require a huge change. Restructuring of the way in which data is collected, used, and stored will require an expert to lead the team and create a model that aligns with the business strategy. If this sounds like your strategy, hiring someone to lead and oversee the process would be beneficial to company success. Not all companies benefiting from AI are ‘tech’ companies. Retailers, healthcare solutions, finance companies and many more industries are implementing AI successfully as an optimisation tool. In these instances the strategy and reasoning behind the intelligent systems is something that requires an understanding from each of the existing roles. Each department of the company needs a grasp on what AI is, and what it means for the business. The organisation will require for example, a marketing manager who understands how AI will help them run more targeted campaigns and create more personalised experiences, a customer service manager who understands how data and AI can help them respond to issues and concerns more effectively. In these instances you don’t want someone coming in to ‘comb your organisation looking for places to apply the AI technologies, effectively making the goal to use AI rather than to solve real problems’, explained Narrative Science’s Chief Scientist, Kristian J Hammond. AI is an advantage for cross-industry organisations without being a part of the product. AI will help these companies solve real world problems, such as schedule management, marketing and logistics, but that doesn’t make them AI companies, and they shouldn’t be investing all their money in hiring a CAIO. Here, AI is an optimisation tool, but not part of the strategy. Rather than asking the question of whether your business needs a CAIO, you should be asking yourself what your business goals are. If they are to solve problems, optimise efficiency, and improve your company offering, an AI Officer is possibly excessive. This isn’t to say that you don’t need employees who understand AI, you most definitely do, but these team members need to be focused on the AI solutions, and what it’s application can do to help you reach your overall business goal. However, if you’re building an AI company, this role will be integral to your success and growth. What qualities should you be looking for? This isn’t going to be an easy role to hire. The ideal candidate needs to have an overarching range of knowledge in AI, a tactical and strategic approach to tackling technical problems, as well as a comprehensive understanding of the company’s objective. The candidate will be responsible not only for implementing AI but ensuring that it’s being employed across all necessary aspects of the business in order to achieve the overall objective. This kind of employee will be a) hard to find, and b) incredibly expensive. So how about a dedicated AI team who can be slotted into relevant teams and focus on their expertise, working with the business strategist and other AI experts across the business? Potentially an appealing alternative. Whether the need in your business is there for a CAIO, or you’re just beginning to consider employing AI in your strategy, it’s undeniable that advancements are rapid and powerful. As enterprises focus on applying them to solve business problems we will see a new model of businesses taking the top stop in their sectors with, or without CAIOs. 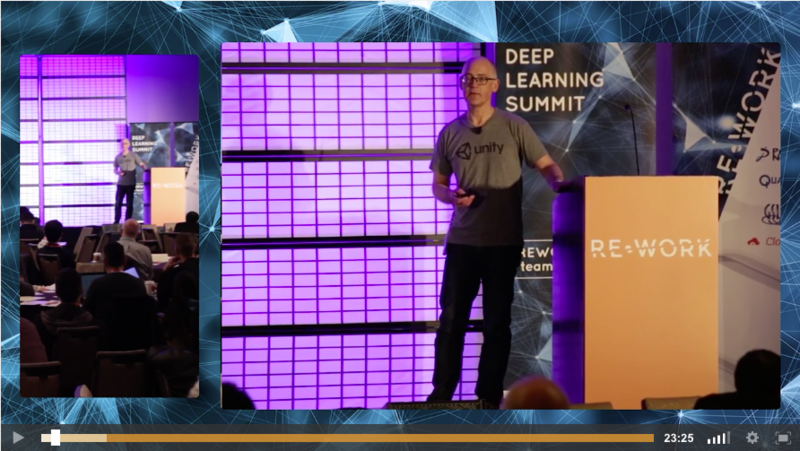 At the Deep Learning Sumut in San Francisco earlier this year, Danny Lange who hs worked as Head of Machine Learning for Unity and Uber as well as GM of Amazon, spoke about the business applicatioins of artificial intelligence. 'Machine learning uses algorithms to detect patterns in old data and build models that can be used to make predictions from new data.' He spoke about understanding the algorithms behind deep learning and how runing the infrastructure needed to build accurate models to deploy at scale can be very challenging.